LuxHighTech is a luxurious, 3 bedroom apartment, in a former Soviet style building, for self catering holiday accommodation. Designed by Judith Abraham, the apartment is situated in the heart of the old town with views towards the canal and is located next door to Liepaja's new Great Amber Concert Hall. A five minute walk will take you to the finest sand beach in the Baltic States (Blue Flag accredited on the Baltic coast). This lovely property has been created to a very high international standard, and is cocooned within the 1960s Russian building waiting for its transformation. The discerning traveler, will appreciate the Lutron Grafik Eye mood lighting system, to dim and control lights, Panasonic Full High Definition 65' (165 cm)TV with Eclipse-TD surround sound as well as home cinema with Arcam Blu-ray player, CD player and Eclipse-TD audio system. Sleep in the finest quality pure cotton bed linen and 100% down feather cushions and duvets. Please use the beautiful items in the apartment. Home accessories include Luxury Italian brand, Alessi. Enjoy your stay as if you were living in your home with your loved ones and guests on vacation. LIEPAJA , LATVIA: The population of Liepaja Region is 140,000 and makes up almost half of all Kurzeme region, which is located in the west of Latvia on the Baltic coast, between Estonia (to the north) and Lithuania (to the south) Russia is to the east of Latvia. It is a thriving area and benefits from a low tax environment. The main industries include metal processing, textile,food, paper production and ship building. The port in Liepaja is ice free which facilitates transportation between the west and east, including Russia. Liepaja itself has a population of 87,000 and has a history dating back to the 13th century. It is stunning city, regarded to have the largest collection of still erected wooden buildings.The street lamps overflow with floral displays, plus large flower displays in the shapes of animals are scattered throughout the town. It has several bridges spanning the canal and also has its own tram system. There is a local market in this thriving town where one can admire the stunning flowers to purchase as well as fruit & vegetables, locally made clothing and much more. ATTRACTIONS: Some local tourist attractions include the Museum which is very interesting and has a wonderful collection of relics from the local area. The building it is housed in is absolutely beautiful, and worth a visit, just to see the architecture. It houses a magnificent staircase which winds up three floors. The entire central atrium is panelled in wood . On the upper section is a permanent collection in the Art Gallery showing the breadth of Latvian artistic merits and includes a room dedicated to a guest artist. The Promenade Hotel, one of the several hotels in the town, also has an an art gallery and Latvian artists' work is featured and changed regularly and is available for sale. The town continuously hosts classical and rock music festivals, in particular the entire month of July is taken up with a Beach Party plus a Rock Festival. The local theatre has events throughout the entire year . The stunning new Liepaja Concert Hall, Great Amber, is directly next to the apartment building. ATTRACTIONS: You can visit nearby Karosta, which is a former military base from Tsarist and Soviet time. In the same location is the stunning Russian Orthadox Church to explore which was a Cinema during the Russian occupation! Some of the churches are magnificent: one of which is Holy Trinity Church which houses a stunning organ and intricately detailed interior. One can walk up the tower and enjoy panoramic vistas over the old town. The town is also abundant with beauty salons. for people wishing to be pampered , whilst not spending a fortune. There are tennis courts for hire by the beach, The wide beach area is made up of the whitest fine sand in the Baltics, with no buildings situated on it . The water from the Baltic is relatively shallow and therefore very warm and ideal for swimming. There are many restaurants to choose from and the kitchens are usually open until very late in the evenings. The nightclub by the canal, Fontaine Palace , is open 24 hours a day. It is a minute walk away. There is a fantastic variety of restaurants and one can enjoy a "Businessman's Lunch" for as little as five euros. Please ask Judith for details of participating restaurants. Judith has a passion for interior and design of a luxurious quality, where there is no compromise. Travelling throughout the world and discovering Liepaja, located on the beautiful Baltic Coast line was a dream come true. This love of Latvia brought about the opportunity to create stunning high standard apartments where discerning travellers can have the opportunity to experience Latvia as well as have the comforts of 'home'. Judith and Ashley purchased two apartments and made them into one large, three bedroom apartment. It is in the heart of the old town of Liepaja and across the road is the canal and Liepaja Yacht Club. Next door is the newly build Great Amber Concert Hall. The apartment is filled with light - from the north and south and gives a beautiful sense of calm and tranquility. The four storey Russian style building is soon to undergo a transformation of the exterior and interior. Entering the stunning apartment is like walking from Russian soviet time, through a time warp into a contemporary, luxury interior. Like Latvia, it is full of contrasts. This is what is so special about this beautiful town, on the beautiful Baltic coast, sandwiched between Estonia to the north and Lithuania to the south. Large new interior, ideal for people who love high-tech gadgets, such as remote controlled blinds (shades) and a selection of light mood selections. You can relax on the wonderful Italian leather couches and watch the huge Full HD TV with surround sound cinema experience, or listen to music in any of the bedrooms. Each bedroom is equipped with DVD players and audio docking systems of the highest quality. Ample dining room sits 8 people and each bedroom has its own DVD players. HD channels and Blu-Ray movies are available for the home cinema. A selection of DVDs, Blu-Ray and CDs are available also. Bathroom one is accessed from the hallway. It also contains a washing machine, toilet, basin and bath. It has a large bath to fully emerse your entire body. There is also a hand shower in the bath. The ensuite is a part of the main bedroom and a separate toilet, Italian Flaminia Mini Link and funky Italian Roto red basin. The wall is lined in black mosaic glass tiles and has a magnification mirror for use for makeup/shaving. Hair dryers are supplied. Please turn off air-conditioning when not in the apartment. Central heating during winter. During cooler periods there are oil based electric heaters. Egyptian cotton, high thread count luxury percale bed linen is supplied. Please ask the owner regarding use of garage. Towels, including beach towels are supplied. All linen is supplied. Living room includes surround sound, state of the art home cinema experience. The discerning traveler, will appreciate the Lutron Grafik Eye mood lighting system, to dim and control lights. Electric coffee maker, plus Italian espresso machine for hob is also available. Alessi toaster, which has section to warm croissants. spices, sugar, coffee, tea etc provided. Full set of dishes and utensils, for 6 people to enjoy a dinner party. Fully equipped kitchen, ideal for cooking special meals. Wide range of utensils, crockery and glass ware available. Formal dining area available, with beveled glass top and eight dining chairs. Panasonic Full High Definition 65' (165 cm)TV with Eclipse-TD surround sound as well as home cinema with Arcam Blu-ray player, CD player and Eclipse-TD audio system. Arcam state of the art stereo system. Includes Eclipse TD sub-woofer and surround sound speakers. Living room: Blu-Ray player. Three Bedrooms: DVD players. DVD library is available for bedrooms, plus the Blu-ray player in the Living Room. Please DO NOT put Blu-ray movies into bedroom player. Blu-ray library is available. DVD library is available for bedrooms, plus the Blu-ray player in the Living Room. Please DO NOT put Blu-ray movies into bedroom players. Contact owner to reserve use of bicycles. Tennis court located nearby in park. As a great deal of love and thought has gone into the creation of this luxurious apartment we would prefer to welcome discerning people who will treat it with great care and enjoy what we have created, to ensure the next guests will also have the same experience. The property has a Lutron Grafik eye lighting and shade system, which is controlled by remote control. The blinds glide up and down in silence by the press of a button. You can chill out listening to music in the cinema room and watch Full HD Blu-Ray movies (supplied) on a 65'(165cm) Full High Definition TV. Our offer includes a complimentary welcome pack. The fridge also contains a selection of drinks. The property is cleaned several times during your stay and on departure. imagine the feel of a central manhattan loft were Phillipe Stark has given his signature on, but, you are in Liepaja coastal town in Latvia. All the rest and nature entertainment at your feet and yes also the luxury of this fully equipped very tasteful loft! The host Ashley and local help Sintija were great and very helpful! Was a perfect place to visit. Calm city and beach. The beach was as long as the eye could see, and almost no turists.! Nice place for your wallet, and the trip to Karosta with the ghost of the old cccp stil hanging around made it complete. The host was also exellent. The flat was over the top regardig to all the facilities. We stayed with five friends in a really sophisticated,high tech apartment in a Soviet-era building in Liepaja on Latvia's Baltic Coast, early in Spring 2010. The owners have created a really unique experience for their guests and work extremely hard to ensure that your every need is met. The 'all-singing, all-dancing' shower in the Master ensuite is impressive. With a light-show, music and every concievable computerised programme ranging from a Scottish mist to full blast downpour! The apartment is equipped with a 'Home Cinema' complete with an eclectic range of Blu-Ray DVDs, 3-D films and Satellite TV which you watch on a giant screen complemented by an superb sound system. The guest bedrooms each have their own I-pod docking station and TV on which to watch DVD's. Lots of attention to detail has been paid to making sure that a touch of luxury awaits you in Liepaja, which is a really interesting seaside city with a fascinating past, great beaches and a musical heritage well-worth exploring. This apartment is in an ideal location near the canal and promenade. The only down-side is the entrance to the building, since this does not reflect the luxury and style which awaits within but the owners are actively seeking a resolution to this. I stayed in this luxury apartment with 3 friends for 1 week at the end of August 2009. It was an excellent place to stay and it is in the very heart of lovely Liepaja. The nice seaside park and the baltic coast are only a 10 minute walk away. The property was very clean and well equipped. We were made very welcome on arrival and some food items were supplied to get us off to a good start. There are plenty of good restaurants nearby. Our favourite was the Maja Restaurant. The apartment is well located, walking distance to everything! The apartment is very well equipped, has everything you need to have a very good stay. Ashley has thought of all the details, he is a great host, very kind and always responded immediately to all our questions and needs. I totally recommend it! It was a pleasure to be your host and thank you for treating the apartment as you would your own home! We hope you will recommend the beautiful stunning city of Liepaja, Latvia to all of your friends. Liepaja is located 200 km to the west of Riga, the capital of Latvia, It is on the Baltic coastline and is a Blue Flag, beach, being one of the best in the world. Liepaja is accessible via car, train, taxi, bus and mini bus from Riga (Latvia) and Palanga (Lithuania). Flights directly to Riga, then travel to Liepaja. Flights Riga to Palanga (Lithuania). Flights directly to Palanga (Lithuania). Then catch bus from Palanga to Liepaja or hire a car (66km journey). Kiel to Klaipeda, Lithuania and drive 50mins north to Liepaja. Destination is Riga (Latvia) or Palanga (Lithuania) Airports. Hire a car - available at both airports, or contact Judith. Riga to Liepaja is 210km. Palanga to Liepaja is 60km. Riga is serviced by many carriers flying from Scandinavian countries, Western Europe and Eastern Europe. Damage Policy - You will be responsible for any damage to the rental property caused by you and your guests, including people you invite into the property during your stay. Owner's Cancellation Policy - Please refer to owner's stated policy. 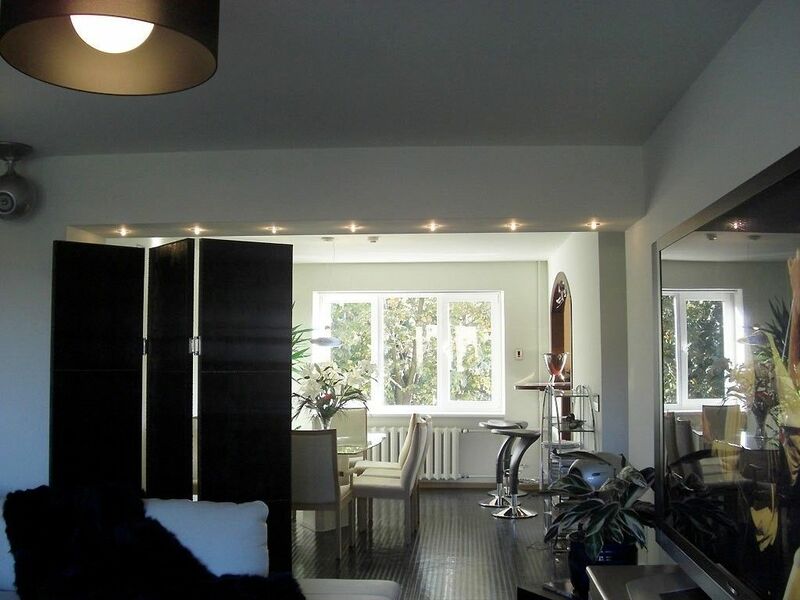 Rental Contract Liepaja, Latvia Apartment address: LuxHighTech Apartment, Juras iela 5, Liepaja, Latvia LV-3401	Advertiser: Judith & Ashley Abraham, 1 Vitolu iela, Apartment 13, Liepaja. Latvia LV-3401 Phone London: +44 (0)7595 068 970 mobile (Judith) e-mail: luxpod@me.com (Ashley) e-mail: digitalcity@me.com 1	Rental property and keys (1)	The Advertiser lets the property to the Tenant: (2)	The rental property is fully equipped and furnished. The rental property is a non-smoking property. (3) Before hand over of keys the Tenant will provide proof of identity either with a driver’s licence or passport. 2	Rental period, arrival and departure The arrival time on the arrival day is 2:30pm or by prior agreement. The departure time on the day of departure is 10:00am or by prior agreement. At the end of the rental period the Tenant should leave the property in similar condition to that in which it was found. Any additional cleaning costs incurred by the Advertiser may be passed on to the Tenant at their sole discretion. 3	Rental price and payment methods The booking is considered final once the deposit has been received and you agree with the Contract. 4	Cancellation and early termination (1)	Your deposit is refundable if you cancel before 60 days of scheduled arrival. If we are unable to re-rent the property for the said dates, we reserve the right to keep 100% of your payment with the understanding that if we succeed in re-renting the property for said dates, we will refund the full amount, less administration charges. (2)	If the Tenant terminates their stay before the departure date for any reason they are still obliged to pay the full rental price. (3)	Termination to be in writing emailed.